1In a bowl of warm water soak your dates for about 10 minutes to soften. Drain the water when they are done soaking. 2Warm dairy free milk of choice in a small pot on medium heat till warm but not boiling. 3Add milk to your blender along with all other ingredients and blend for about a minute until creamy & frothy. 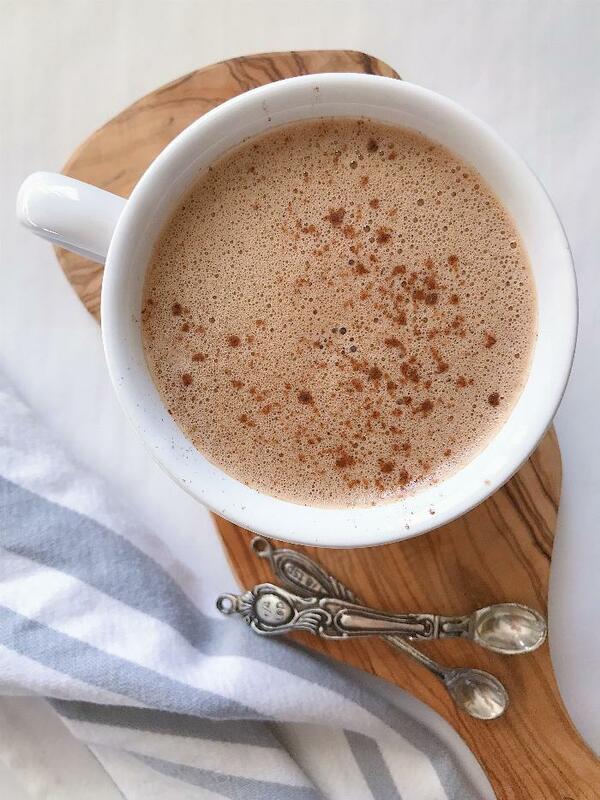 4Pour in your mug, sprinkle some cinnamon on top and enjoy! If you don't have Dandy Blend, you can double the cocoa powder. You can add a natural sweetener if you desire.